Let us take any telecom company, they provide 5 kinds of services. One is voice service, Toll free service and the other one is data service. 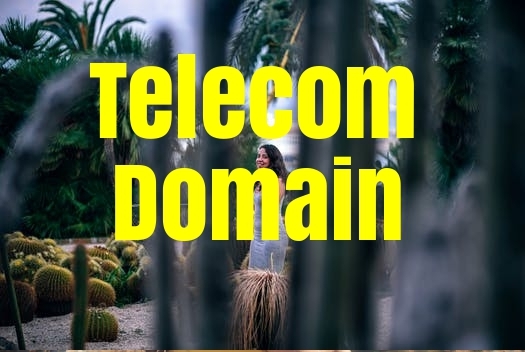 The given domain knowledge in telecom help you understand about telecom domain quickly. In addition to above, the latest services are Internet service and wireless service. Domain knowledge is crucial to do testing correctly. This is standard phone service that you have been using since the first time you called your Grandma to thank her for a birthday present. You need voice service. A toll-free number is a special number that enables calls to come in from anywhere without the caller incurring a charge. The called party pays all the charges for the call. How much the called party pays for a call depends on the arrangements made with the long-distance carrier. If you look at all of your voice calls and find that the majority of them are inbound from customers, you could probably benefit from toll-free service. For many companies, not having a toll-free number is disastrous. If your car breaks down and you have to call for assistance from a pay phone, would you rather pay 50 cents to contact the answering machine of a tow truck or taxi company, or would you rather call for free? If you’re on hold for a couple of minutes on a toll-free call, at least you’re not paying for it. The term data services usually refers to non-voice communications such as e-mail, text messaging, and fax services that are transmitted over a private network. In every company, information needs to travel from one side of the office to another side of the office. The sales team closes the order and relays it to the order-entry department. he order-entry department logs the order and sends it to the manufacturing department; the manufacturing department builds and tracks the order; and the shipping department sends the order to the customer. Every office needs a connection to the Internet, if for no other reason than to enable employees to send and receive e-mail and while away the hours Googling their names. Many companies use the Internet to research their competitors, or they may use the Internet to visit suppliers’ Web sites to place orders, review shipments, and request services. Wireless service can encompass all the other categories in this list, but because wireless service is usually provided by a different company than the one that provides your land lines, you need to view it as a separate telecom service.